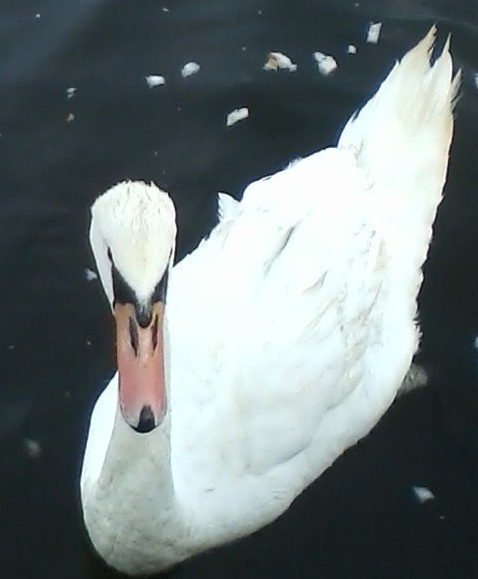 I live on a lagoon that is frequented by some very interesting and beautiful wildlife. 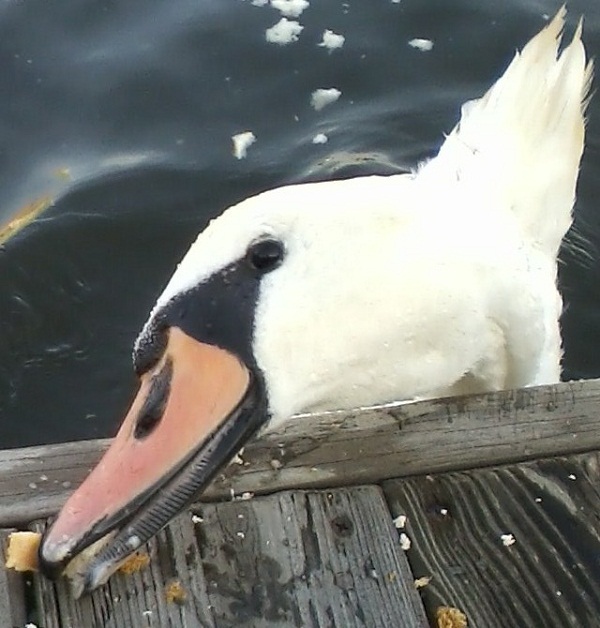 Swans are one of the more familiar visitors to the docks. They float effortlessly from one waterway to the other, gliding along without rhyme or reason. They don’t seem to be bothered or afraid of the people around here because everyone treats them with respect and kindness. They are, for the most part, quiet curious creatures. I am often caught off guard while working in the garden with a surprise greeting by one of these lovely creatures stretching its neck to see what I’m doing. Maybe it’s just to say hello, but most likely they are looking for a morsel of food. The only time they make a lot of noise is when for some reason they take off into flight. It is a deafening, indescribable rush and squawk of maximum velocity. The first time I heard it without seeing what was making it was quite scary. But for the most part they meander about minding their own business. 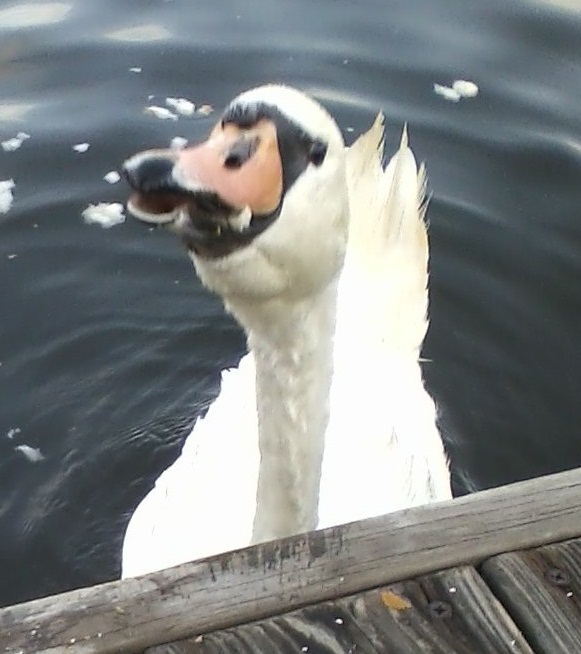 If we could take a lesson or two from a swan, I can guarantee life would be more tranquil.